Friends of the Library of Los Altos is a non-profit, all-volunteer organization of book lovers and community members having a good time raising funds in support of the Los Altos Library collections, facilities and programs. Learn more about our History and Achievements. Hillview Hall, the Multipurpose Room, and Room 2 at Hillview CommunityCenter, 97 Hillview Ave, Los Altos 94022. 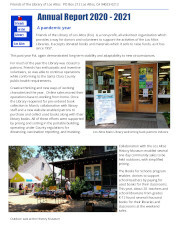 Read our newsletter - and learn about the future of our book sales after Hillview changes begin. There's also a list of events at the library, and a picture of one of the books from the upcoming February sale which will tempt you to learn Japanese. 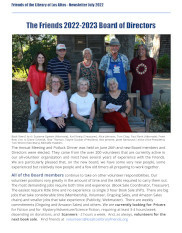 Last fiscal year, Friends of the Library of Los Altos raised $201,000 and contributed $162,500 to fund library programs and materials, as well as new fixtures and technology. Learn more about our income and expenses by reading the Annual Report. Want to help the Friends help the Library? The easy way to volunteer is to drop-in at Hillview Room 7 on any Thursday morning from 9 to 11 and help sort the donated books.